Sold Out. Check Out Other VaporFi Liquids HERE Sold Out. 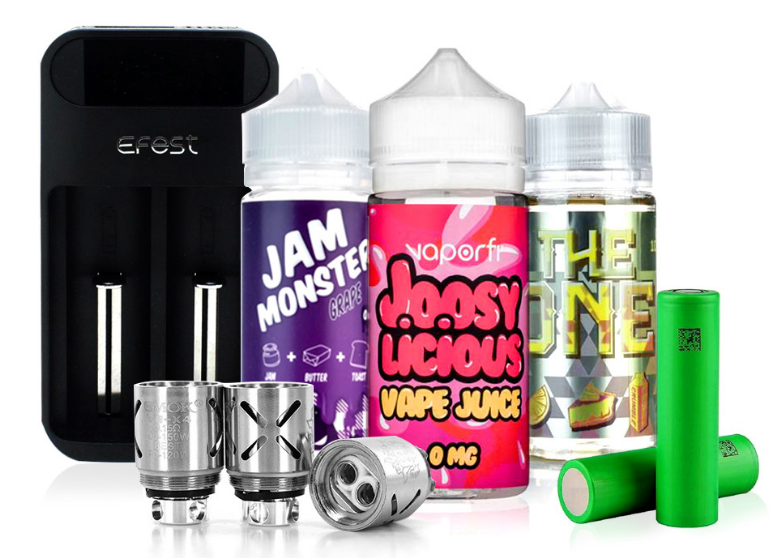 Check Out Other Juice Samplers HERE Get the goods on some of the tastiest VaporFi Reserve juices in this incredible sampler; here's what it includes: The always-refreshing Northern Lights, which is a serenely cool blend of menthol and melon. Moroccan Gold, which is a sensuously rich Middle Eastern tobacco paired with sweet vanilla and creamy coconut that will warm you up from the inside! Finishing the collection is Summer Lovin', a vibrant concoction of lemon and raspberries, sure to satisfy all cravings for a bold, fruity vape! I was so shocked when I saw the price for this and realized it wasn't a misprint- 90ml for $29.95, you bet I grabbed 2 of these samplers! Love my VaporFi Reserve juices, and this price will not last long, I"m sure. Best steal on top notch juice around ATM. I have tried all of these before, not a bad one among the crowd. Love the vapor production, love the 40/ 60 PG/VG, which a lot of brands are not doing so much anymore.